Demilitarized Zone Region • Portas V: Broker sale of biogenic storage containers. Mission located in Alpha-Quadrant with span: 2 and points: 35. 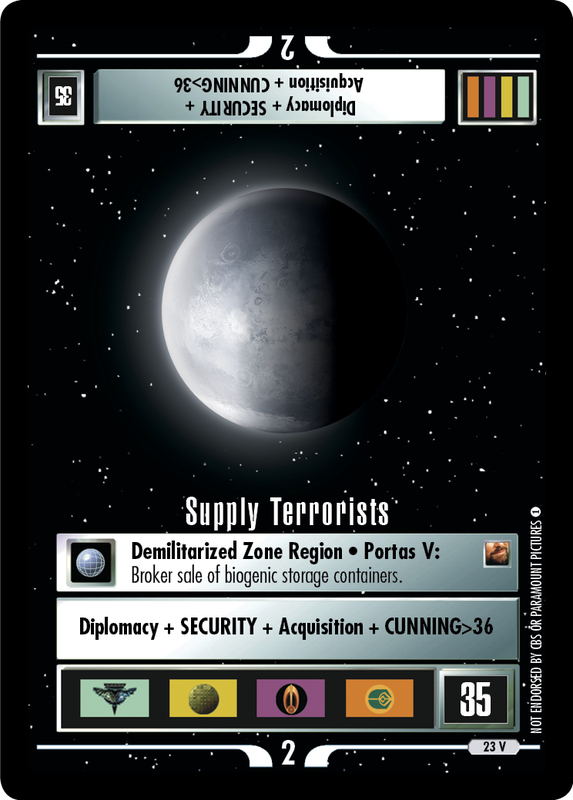 Characteristics: Demilitarized Zone region, Mission.